We have selected several items from the Visage current collection. The Visage range of modern women’s knitwear is manufactured in NZ by Private Collection Ltd.
A company well known for their high quality yarns and easy-wear designs, The Visage women’s clothing collections are made up of coordinated separates that enable you the freedom to create your own look, feel and style. From sophisticated, comfortable resort wear to special evening pieces, Visage creates the contemporary look for every modern woman no matter the ocassion. 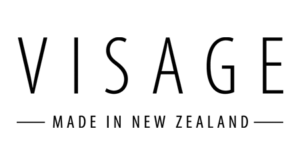 Launched in 1985 the Visage collections have now become a trusted and much-loved feature of both the New Zealand and Australian fashion scene. Private Collection boasts a highly skilled team of knitwear technicians whose ability to create quality workmanship, superior fit and timeless design is widely admired throughout the clothing industry. Private Collection’s advanced factory mainly uses Shima Seiki knitting machines from the Orient. These machines are designed to utilize whole garment knitting technology. This means the garments you wear are almost complete when they come off the machines. The result of this is that the product is seamless, more comfortable to wear, and the fit is always 100 per cent consistent. The Visage range changes from season to season. Come into Frontline today to view the latest collection.